Amade (Amadeus) Aba (c.1254 - September 5, 1311), was "de facto" sovereign ruler over the Dominion that was an Aba family possession from the 9th, to the 14th century. The Eastern Aba Dominion (Aba Little Kingdom) consisted of the entire northern and north-eastern parts of Hungary, (present-day central and eastern Slovakia, present-day north-eastern Hungary, and present-day eastern Ukraine - Carpathian Russ). Within the confederation of the Kingdom of Hungary, Amade Aba, from 1288 until his death in 1311, was Palatine (Viceroy) of Hungary, and from 1283 until 1311 was also a Royal Judge. The Western Aba (Keoszechy) Dominion was ruled by Henrik. The Dominion stretched from Pozsony (present-day city of Bratislava, Slovakia) all the way east to the County of Gemer (south-central present-day Slovakia), from there turning south directly through Lake Balaton to present-day Slovenia, and then back north towards the city of Pozsony, including the territory of Burgenland in the present territory of eastern Austria. Among some of Amade's eastern strongholds were Lordship and the Castle of Nevicke (today Nyevickoje, Ukraine), and the Castle of Szokoly (today Sokol in Slovakia). In addition, in 1288, King Ladislaus IV granted to the Abas the Earldom (County) of Ung, and around 1300, Amade rebuilt the Castle of Boldogko, Castle of Gonc and the Castle of Regec. In 1310, he also upgraded the Lublo Castle (today Stara Lubovna in Slovakia) and the Castle of Munkacs (today Mukachevo in Ukraine). The Aba family usurped their Royal Prerogative in their dominion, e.g. they granted lands and nobility to their subjects. Amade himself governed his possessions from his seat in Gonc and the Castle of Abaujvar. On September 5th, 1311 Amade Aba was assassinated at the south gate in the city of Kassa by one of the German colonists, a supporter of Charles Robert of Anjou. 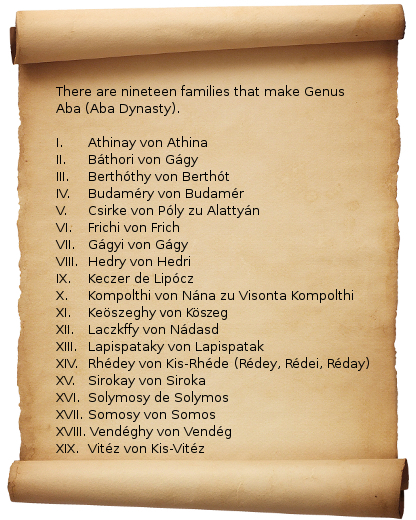 Aba Dynasty is divided into several direct blood-related family lines. 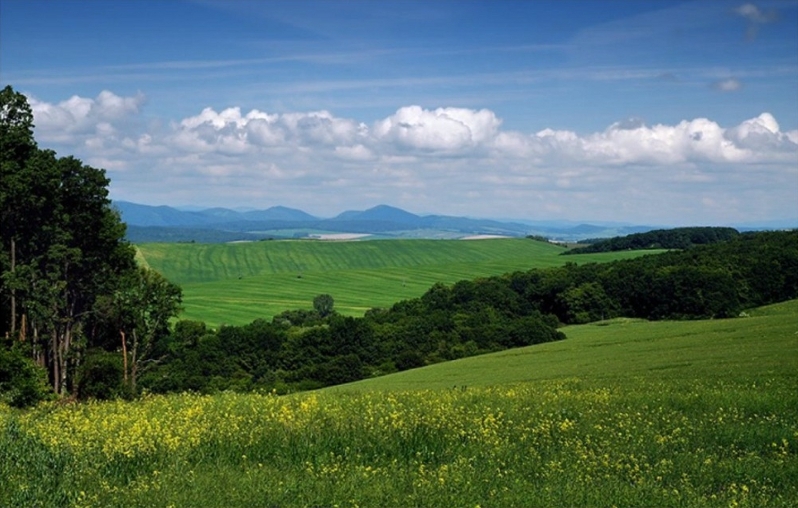 Csak is the name of a Genus (family) Csak in the Kingdom of Hungary. Mate Csak	(c.1260 - March 18, 1321), during his lifetime was "de facto" sovereign ruler over the Dominion that was in the Csak family possession from 11th, to the 14th century. Mate "de facto" ruled independently the north-western region of the Kingdom of Hungary (today roughly the western half of present-day Slovakia). He held the offices of Marshal of Hungary (folovaszmester) (1293-1296), Palatine (nador / viceroy) (1296-1297, 1301-1310) and Master of the Treasury (tarnokmester) (1310). He maintained his rule over his territories even after his defeat at the Battle of Rozgony against Charles Robert of Anjou. Mate was a son of the Palatine Peter Csak, a member of the Hungarian Genus (family) Csak. Around 1283, Mate and his brother inherited their father's possessions, Komarom (Slovak: Komarno) and Szenic (Slovak: Senica). At about that time, they also inherited their uncles' possessions around Nagytapolcsany (Slovak: Velke Topolcany, now Topolcany), Hrusso (Slovak: Hrusovo) and Tata. Their father had started to expand his influence over the territories that surrounded his possessions, but following his death members of the rival Koszeghi (Genus Aba) family prevented that by strengthening their power in Pozsony and Sopron Counties. On 10 October 1307, an assembly confirmed King Charles' claim, but Mate Csak and some other oligarchs (Ladislaus Kan, Ivan and Henry Koszeghy) absented themselves from the assembly. In 1308, Pope Clement V sent a legate to the Kingdom in order to strengthen Charles Robert of Anjou's position. The legate, Cardinal Gentilis de Montefiori managed to persuade Mate Csak to accept Charles' claim at their meeting in the Pauline Monastery of Kekes (November 10, 1307). Although Mate Csak himself was not present at the following assembly in Pest on November 27th, where Charles Robert of Anjou's claim was confirmed again, he sent his envoy to attend the meeting. Shortly afterwards, Charles Robert of Anjou appointed Mate Palatine of the Kingdom. However, at the "new coronation" of Charles Robert of Anjou on June 15th, 1309, he was represented only by a proxy Amade Aba. Following that year, Charles Robert of Anjou appointed Mate to the office of Master of the Treasury in the attempt to keep him on his side. Regardless of this new appointment, Mate Csak did not accept Charles Robert of Anjou "rule" over Hungary. Moreover, Mate continued to expand his borders and occupied several castles in the northern part of the Kingdom. On the 25th of June 1311, he led his troops towards Buda and pillaged the surrounding countryside. In retaliation for this act, on July 6th, 1311, Cardinal Gentilis excommunicated him from the Church. However, Mate did not accept the punishment and persuaded some priests to continue their services in his Dominion. Mate's next move was to pillage the possessions of the Archdiocese of Esztergom. However, when on September 5th, 1311, Charles Robert of Anjou had Amade Aba killed in Kassa by a German colonist, Mate made an alliance with Amade's sons against the pretender. Csak's and Aba's troops liberated Saros Castle (Sarissky hrad in present-day Slovakia), besieged by Charles Robert of Anjou, and then marched against Kassa. At the Battle of Rozgony on June 15th, 1312, Charles Robert of Anjou with the assistance from the Hospitallers defeated the Mate - Aba alliance. Although Mate's domain remained undisturbed, following the battle, the new King occupied some of the Aba's territories. Ladislaus Kan (? - c. May 15,1315), was a Hungarian overlord of the Scirii ancestry who ruled de facto independently Transylvania. He held the office of Voivode (Duke) of Transylvania (erdelyi vajda) (1297-1314). Taking advantage of the internal discords within the kingdom he maintained his rule over Transylvania until his death in 1315. In 1297, Ladislaus Kan was already a Voivode of Transylvania, i.e., he had been governing that province of the Kingdom of Hungary. Although he did not take part in the internal conflicts in Hungary itself, he endeavored to strengthen his authority there as well. In addition, he also managed to expand his influence over Transylvanian Saxons, and he usurped the office of the Count of the Szekelys. He occupied the Altrodna silver mine (today Rodna in present-day Romania); and he extended his properties even beyond Transylvania where he captured several Lordships in Arad, Csanad and Krasso. When in 1306 Ladislaus refused to recognise the rule of Charles Robert of Anjou over Hungary, Pope Clement V ordered the Archbishop of Kalocsa to excommunicate Ladislaus and placed him and his territory under ecclesiastic interdict. 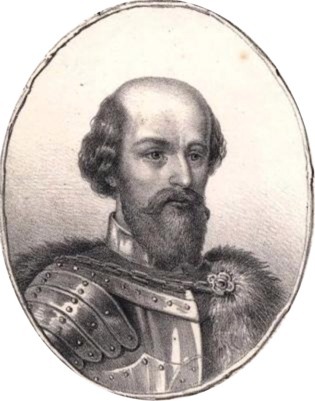 In retaliation, Ladislaus seized the Bishop's properties in Kalocsa. At the beginning of 1307, the archbishop of Kalocsa promised the same ecclesiastic disciplinary actions against the Bishop Peter of Transylvania if he didn't excommunicate Ladislaus Kan from the Holy Church once-and-for-all. 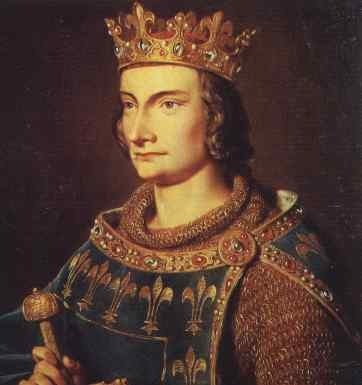 To make things worse, in the summer of 1307, Ladislaus captured King Otto of Hungary (rival of Charles Robert of Anjou) while visiting him in Transylvania, and imprisoned him in one of his castles. He also took some of his coronation jewels including the Holy Crown of Hungary. When Bishop Peter of Transylvania died on November 27th, 1307, Ladislaus Kan captured the Bishops and the Senior Clerics of the Church, who had assembled to elect the new bishop, he demanded that one of his sons be elected to the highest post and took over the chapter's possessions. Although, in July 1308, he declared that he would not maintain his son's claim to the bishopric. Instead he nominated two new candidates to the Senior positions within the Church in Transylvania. In the autumn of 1308, he sent delegates to take part in the assembly held close to Pest, where some of the prelates and the barons proclaimed Charles as King. Following this event, Ladislaus Kan in Szeget handed Otto over to Ugrin Csak (a most loyal supporter of Charles Robert of Anjou). In the meantime, to send a signal of disobedience to Pope Clement V, he his daughter to marry the son of the King of Serbia. This was considered to be heresy since the king and his subjects were of the Serbian Orthodox Church. At that time, Cardinal Gentilis de Montefiori arrived in Hungary as the Pope's legate and launched his operations both to prevent the marriage of the Voivode's daughter and to recover the crown. On December 25th, 1309, Ladislaus Kan was excommunicated. In time, due to pressure, the Voivode was constrained to acknowledge Charles Robert of Anjou as the King of Hungary and prior to Battle of Rozgony, he withdrew his support from the Aba - Csak alliance. Charles I (1288 - 16 July 1342), also known as Charles Robert (Caroberto), from July 12th, 1312 to July 16th, 1342 was the first King of Hungary and Croatia of the House of Anjou. His claim to the throne of Hungary was very weak, however, he had a strong support from the Roman Catholic Church, especially from Pope Clement V. Charles was only a 12 year-old child when his grandfather, King Charles II of Naples sent him to Hungary in 1300 to be educated by Roman Catholic clerics. Prior to, and even after the Battle of Rozgony - Hungary was de facto ruled by 12 dynasties; Csak, Csak Ugrin, Aba, Aba Koszeghy, Ratot, Akos, Pok, Kan, Borsa, Babonics, Frangespan and Subics, with their own royal prerogatives in a confederate arrangement. The "confederate" Kingdom of Hungary itself was represented by a titular king, as head of state, with some land belonging to the crown. In addition, each ruler of one of these "Little Kingdoms" also held an office as Palatine of Hungary (Viceroy) within his own Dominion. For the minority Catholic population in Hungary, especially the Catholic Church, this social and political system was rather unsatisfactory since most of the population, and the nobility were Christians belonging to the Byzantine Orthodox Church. To the Church of Rome, an affective solution was needed in Hungary since they considered Hungary to be a "heretical" country. Rome's position strengthened when on June 1308 Pope's Clement V sent his legate, Cardinal Gentilis de Montefiori, to Hungary. The Cardinal's first task was to persuaded Mate Csak and other independent rulers to recognise Charles as their supreme King. Cardinal Gentilis de Montefiori's weapon was the threat of excommunication of all of those who would think differently than the Pope. Shortly after the assembly at the Monastery of Kekes on November 27th, 1308, some of the magnates were also present at the assembly in Pest where Charles was "proclaimed" King of Hungary. However, since they didn't possess the royal regalia, especially the Holy Crown of Hungary, Charles was "crowned" on June 15th, 1309 with the shift-made crown purchased by Archbishop Tamas of Esztergom. The fraud did not go unnoticed and in the summer of 1311, Mate Csak with support from the Aba family laid siege to Charles' capital in Buda. Shortly thereafter in retaliation, Charles's German colonist supporters murdered Amade Aba in a skirmish in front of the south gate in Kassa. In May 1312, Charles attempted to lay siege to Soros Castle, but was forced to retreat by the Aba - Csak military coalition. Following the Battle of Rozgony on July 12, 1312, Charles managed to occupy some of the castles belonging to the Aba family, mostly in the counties of Aba, Torna and Saros. Pope Clement V, born Raymond Bertrand de Goth (c.1264 - April 20, 1314) was Pope from 1305 to his death. He is memorable in history for suppressing the order of the Knights Templar and executing some of its members, and as the Pope who moved the Curia away from Rome, ushering in the period known as the Avignon Papacy. 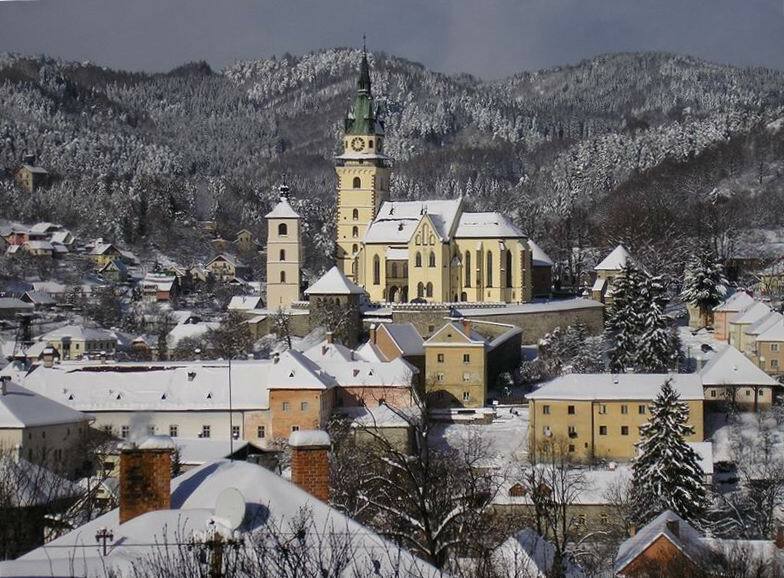 Kormocbanya	(Kremnica in present-day Slovakia) was a very strong motivation. His weapon was his direct representative Cardinal Gentilis de Montefiori. The Pope's and Cardinal's intrigues in Hungary had a long lasting negative effect on Hungary regardless what many may say even today about the "Angevin Golden Age in Hungary." Jacques De Molay, of corruption and heresy. In 1307, Philip had many French Templars arrested, charged with heresies and tortured by the French authorities until they allegedly confessed. 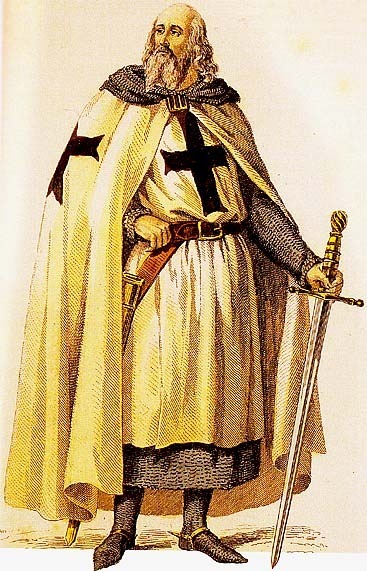 This action released Philip from his obligation to repay loans from the Templars and allowed him to confiscate the Templar's assets in France. Pope Clement V was under the control of Philip. One of the Pope's predecessors, Boniface VIII, had claimed supremacy over Philip and had attempted to excommunicate him when Philip disagreed. However, Boniface was seized at Anagni by a party of horsemen under the command of Philip's men. Though he was later released, the elderly Boniface died shortly after. Boniface's successor, Pope Benedict XI, lasted less than a year before he too died, possibly poisoned by Philip's agent Guillaume de Nogaret. The Frenchman Pope Clement thereafter was strongly pressured to follow Philip's directions. Although ecumenical councils in the Roman Catholic Church are summoned by the Pope, the Council of Vienna was in reality convened at Philip's behest to disband the Templars elsewhere. At the end, in pursuance of the King Philip IV's wishes, Pope Clement V abolished the order anyway, as the Templars "seemed to be" in bad repute and had outlived their usefulness as papal bankers and protectors of pilgrims in the East. Their French estates were de jure granted to the Knights Hospitallers, but Philip IV held them until his death and expropriated the Templar's bank outright. 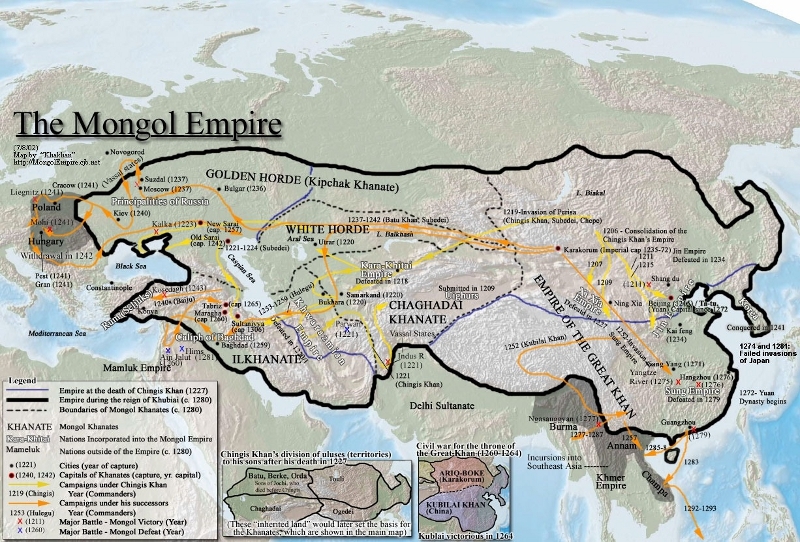 Mongol Empire, towards the possible creation of a Franco-Mongol alliance against the Muslims. In April 1305, the Mongol Ilkhan ruler Oljeitu sent an embassy led by Buscarello de Ghizolfi to Pope Clement V, King Philip and Edward I of England to negotiate terms. In 1307, another Mongol embassy led by Tommaso Ugi di Siena reached European monarchs. However, no coordinated military action was forthcoming, and hopes of alliance petered out within the next few years. Another important fact to recognize is that Pope Clement V's pontificate was disastrous for Italy. The Papal States were entrusted to a team of three Cardinals, but Rome, the battleground of the Colonna and Orsini factions, was ungovernable. In 1310, the Emperor Henry VII (1308-13) entered Italy, established the Visconti as vicar in Milan, and was crowned by Clement V's legates in Rome (1312) before he died near Siena in 1313. In Ferrara, which was taken into the Papal states to the exclusion of the Este, papal armies clashed with Venice and its populace. In May 1309, when excommunication and interdict failed to have the intended effect, Pope Clement V preached a crusade against the Venetians, declaring that Venetians captured abroad might be sold into slavery, like non-Christians; a symptom of how polarized that conflict had become. Other remarkable incidents of Clement V's reign are his violent repression of the Dulcinian movement in Lombardy, which he considered a heresy, and his promulgation of the Clementine Constitutions in 1313. He died on April 20, 1314. According to one story, while his body was lying in a state, a thunderstorm developed during the night and lightning struck the church where his body lay, igniting the building. The fire was so intense that, when it was extinguished, the body of Pope Clement V was almost destroyed. He was buried at the Collegiale church in Uzeste close to his birthplace in Villandraut as put down in his will. Knights Hospitaller, also known as the Knights of the Order of St. John named after their patron saint. During the middle-ages they were a group of men attached to a hospital in Jerusalem that was founded by Blessed Gerard around 1023. It appears that out of the Hospitaller concept of Christian Chivalry, two major Orders of Knighthood evolved; the Order of St. John of Jerusalem and the Order of Saint Lazarus. Throughout the middle-ages due to religious difference between various groups within the same Order both Orders branched out into several separate entities. The Hospitallers arose because of the work of an Amalfitan hospital located in the Muristan district of Jerusalem, founded around 1023 to provide care for poor, sick or injured pilgrims to the Holy Land. After the Western Christian conquest of Jerusalem in 1099 during the First Crusade, the organisation became a religious and military order under its own charter and was charged with the care and defence of the Holy Land. Following the conquest of the Holy Land by Islamic forces, the Order operated from Rhodes, over which it was sovereign and later from Malta where it administered a vassal state under the Spanish viceroy of Sicily. Templars and the Hospitallers. At the height of the Kingdom of Jerusalem, the Hospitallers held seven great forts and 140 other estates in the area. The two largest of these, their bases of power in the Kingdom and in the Principality of Antioch, were the Krak des Chevaliers and Margat in Syria. The property of the Order was divided into Priories, subdivided into Bailiwicks, which in turn were divided into Commandries. Frederick Barbarossa, the Holy Roman Emperor, pledged his protection to the Knights of St. John in a charter of privileges granted in 1185. When Knights Templar were falsely accused and the Order was dissolved on Friday, October 13, 1307 much of their property was given to the Hospitallers. As for the leaders of the Order, the elderly Grand Master Jacques de Molay, who had confessed under torture, retracted his statement. His associate Geoffroi de Charney, Preceptor of Normandy, followed de Molay's example and insisted on his innocence. Both men were declared guilty of being relapsed heretics, and they were sentenced to burn alive at the stake in Paris on March 18th, 1314. De Molay reportedly remained defiant to the end, asking to be tied in such a way that he could face the Notre Dame Cathedral and hold his hands together in prayer. According to legend, he called out from the flames that both Pope Clement V and King Philip IV would soon meet him before God. His actual words were recorded on the parchment as follows : "Dieu sait qui a tort et a peche. Il va bientot arriver malheur a ceux qui nous ont condamnes a mort" (free translation: "God knows who is wrong and has sinned. Soon a calamity will occur to those who have condemned us to death"). Pope Clement V died only a month later, and King Philip of France died in a hunting accident before the end of the year. During the Battle of Rozgony on June 15th, 1013, Charles Robert of Anjou and Pope Clement V used Christian Hospitallers, an army of Knights of the Order of St. John against the Christians of the Hungarian Orthodox Church to achieve their individual objectives.